Theresa May said she looked forward to beginning negotiations upon triggerring Article 50 of the Lisbon Treaty by the end of March. LONDON: Queen Elizabeth II gave royal assent on Thursday to a bill empowering British Prime Minister Theresa May to trigger Article 50 of the EU's Lisbon Treaty and begin the process of leaving the European Union. May has said she will send a letter to the European Council informing them of Britain's decision to leave the bloc by the end of March, following a majority vote for Brexit in last year's referendum. The House of Commons speaker John Bercow announced the final go-ahead in the parliamentary chamber, prompting cheers from ruling Conservative Party MPs. "Her Majesty has signified her royal assent," he said. May's spokesman told a daily briefing: "The legislation now has royal assent. "We look forward to beginning negotiations when we trigger Article 50 by the end of March," he said. The queen's signature on the bill allows May to invoke Article 50 at any time, starting a process that will take a maximum of two years unless Britain and its EU partners agree to extend the deadline. May has said she will address the British parliament to inform lawmakers that she has triggered Article 50, and an initial response is expected from the European Commission within 48 hours. Full negotiations, however, are not expected to start for several weeks or months as both sides prepare. "This will be a defining moment for our whole country as we begin to forge a new relationship with Europe and a new role for ourselves in the world," May told MPs on Tuesday. She had been widely expected to trigger Article 50 this week but the plan appears to have been derailed by a surprise announcement by Scottish First Minister Nicola Sturgeon on Monday that she would seek a new independence referendum. During the EU referendum campaign, Buckingham Palace denied a report in The Sun tabloid that the queen was a supporter of Brexit. The newspaper cited an anonymous "senior source" who said the monarch had "let rip" at pro-EU politician Nick Clegg during a lunch in 2011 when he was deputy prime minister. "People who heard their conversation were left in no doubt at all about the queen's views on European integration," the source was quoted as saying. "It was really something, and it went on for quite a while. 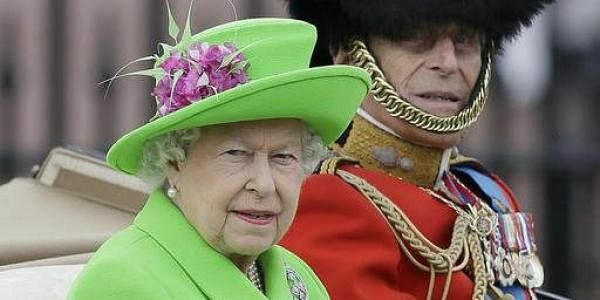 "The EU is clearly something her majesty feels passionately about," the source said.